In this level we take out some defenses first, but because we can’t take out all the Wizard Towers we use a lot of Balloons to survive them. Deploy 2 Giants to distract the defenses. Deploy 50 Archers to destroy the Archer Tower, Air Defense and Wizard Tower. Deploy the left over Archers to help destroy the Wizard Tower. Deploy a Giant in the corner to distract the Archer Tower and Wizard Tower. Directly place 3 Balloons at the bottom and 6 in the top to attack the Wizard Towers. 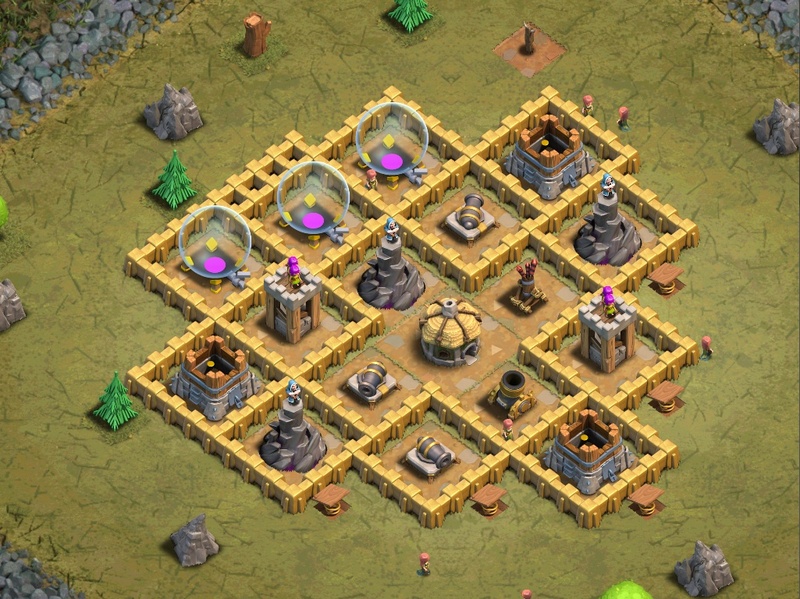 Or triple Lightning Spell the area near the Air Defense and remove the anti-air towers. Play Balloons from the left side (minions are not necessary).